How can channel incentives reach end-users and capture critical information? Effecting change in your channel takes knowing who’s driving its most important sales behaviors. Our channel incentive programs target the point of influence (POI). Through our intuitive claims process, we helped a technology security firm identify these channel members and motivate them to move product through a steps-to-the-sale incentive structure. When it comes to navigating the channel, you need partners you count on to help you move your products effectively and efficiently. But how do you get them to buy in? HMI’s expertise in channel marketing and sales enables us to target the POI – the managers and salespeople who are the most valuable points of influence in your channel. Smarter channel engagement, proven results. 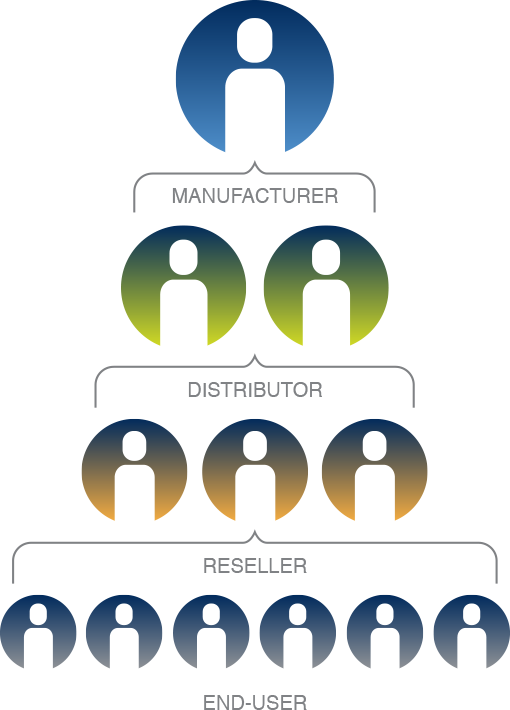 Our unique channel incentive strategies utilize a steps-to-the-sale approach. We target key performance indicators (KPIs), emphasize product mix or focus on total purchases, identifying the right solution for you through the HMI Excellence Approach. Whether you’re looking for claims processing solutions, multi-campaign management tools, an incentivized learning management system (LMS), or in-depth reporting and analytics, HMI offers an array of technical sales solutions designed to motivate your channel and transform your business. Friendly competition through gamification, leaderboards, etc.